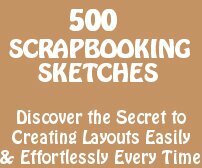 Free scrapbooking clip art & graphics for your scrapbook pages. Choose from tags, backgrounds, printables, diecuts, transparencies, holiday clip art, scrapbook graphics sets and more. Perfect backgrounds and graphics for a Victorian scrapbook page. Largest single artist clipart library on the web today! The thousands of images you find here are all unique, hand drawn originals. Click on clipart sets on the left. Also scrapbook tags, toppers and more. Cute! 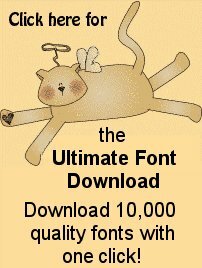 Tons of free graphics, backgrounds, words, cartoons, icons and more. Just right click and copy, then paste! Print the page (try plain, colored or even patterned paper!) then cut along the black lines. Locate holiday clip art and special occasion clip art by browsing these indexes and categories. These alphabets are fun not just for scrapbooking but for all sorts of craft projects around the classroom and home. Browse this big list of A - Z clip art links to find everything you want in graphics and clipart. Over a thousand graphics and clipart of just Halloween! Clip art listed in categories - Alphabets, animals, civilizations, entertainment, fantasy/mythology, fashion, flowers/gardens, food, hobbies, holidays, home and garden, medical and law, office and business, people, religions, school, space, sports, vehicles, and more! Nice group of scrapbook backgrounds for you to use. Also free to use on websites. ScrapFreebies.com - Disclosure : I am an affiliate of the products recommended on ScrapFreebies.com.